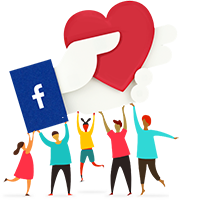 Aajeevika Bureau is a specialized, non-profit, public service organization dedicated to labour and migrant welfare. It has been working for over a decade, providing a wide range of innovative services and solutions to the poorest groups of workers in Rajasthan, Gujarat, Mumbai and NCR. It has undertaken pioneering work on legal aid & education, identity solutions, financial services, skill training, primary and occupational health as well as workers’ mobilisation. Feel free to ask Aajeevika Bureau for a new update on this Fundraiser. Thousands of workers, who make the beautiful temples found across the country, are fast approaching death. The killer is Silicosis, a fatal respiratory disease with no cure. This epidemic is spreading in Pindwara (in Sirohi, Rajasthan), which is the main hub where ornately carved articles, pillars and statues are built by poor tribal workers for multi-crore temples. This stone carving work is commissioned by religious trusts such as Swaminarayan for building temples across the country and even overseas. Though some of this is now being commissioned for private residences and public works also, the main consumer for this deadly form of stone carving work remains the temple-building industry. This industry requires particular attention because it commonly uses silica rich stones from Rajasthan as its main material. It carves and grinds these stones with cheap machines, producing large volumes of silica-filled dust. To save on costs, employers do not invest in effective dust control mechanism and work continues in highly hazardous conditions. As a result, the workers end up inhaling this deadly dust for 7-8 hours daily. 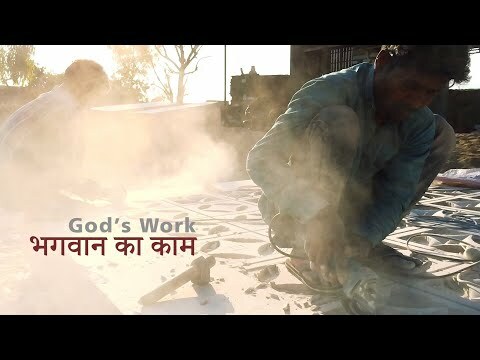 Given these highly irresponsible methods of production by the temple-building industry, it is not surprising it has become a hotspot of Silicosis, with shocking levels of death and disease occurring among its workers. Something like this has not been witnessed in any other part of the construction sector. There is no treatment for Silicosis. It causes the patient's lungs and body to waste totally, turning them into skeleton like figures that are unable to sit or stand without support, rapidly moving towards a painful and shocking death (see attached newspaper articles). Official data confirms that 3 in every 10 temple-building workers in Pindwara have Silicosis, leaving behind thousands of desperately poor young widows and children. The average age of these victims is as young as 34 years, much younger than mining or other industries where Silicosis has been found. It highlights that temple-building is one of the most hazardous and deadly occupations! Hundreds of such workers have already died in Pindwara. Another 1400 patients are on the brink of death. Official data confirms that the crude death rate among working age men in Pindwara is four times the state average! So it is no surprise that funerals and mourning are a daily occurrence in these villages. Read Durgaram's story here to understand the ground situation better. IF LOW-COST, DUST-CONTROL MEASURES ARE NOT DEVELOPED, MANY MORE YOUNG AND INNOCENT LIVES WILL BE LOST, AS WE KEEP BUILDING TEMPLES IN AN UNSAFE MANNER. The only sustainable solution to this human tragedy is to prevent the occupational disease. This project asks for your support for a first-of-its kind initiative to prevent Silicosis through dust-control measures in stone carving factories of Pindwara. It brings together engineers from IIT Delhi and IIT Bombay (led by Dunu Roy), together with doctors and workers to find a sustainable and feasible solution to the problem. Dust control isn't rocket science and some methods already exist. A simple Google search shows some possible dust control techniques. Then why not plug and play? The context of this industry - its severe fragmentation, informality, production processes defies linear application of existing methods, all of which have been developed and deployed in formal industries (i.e. industries with a clear employer, a registered factory that comes under regulatory ambit and that hires employees in regular, standard ways). Pindwara suffers from all the negative aspects of today's heavily critiqued industry structure - heavy sub-contracting, piece rate work, hiring workers in irregular and insecure ways, unregistered factories that do not fall under regulatory ambit and do not follow any standards protocols in their factory plans or production processes). These features make the production more profitable for employers and those that commission the work such as temple trusts, but it exploits workers and is directly related to the proliferation of unsafe methods of work. Dust-control technologies need innovation to survive such tough conditions and to not crumble and fail in face of such adverse industry structures. Copy-pasting of ill suited methods from formal sector would do more harm than good. A grounded, holistic, multi-dimensional approach is needed that harnesses the intimate knowledge of workers to develop solutions. Read more about our plan of action here. The project is anchored by a well-known organization called Aajeevika Bureau, which is a specialized, non-profit, public service organization dedicated to labour welfare. It has been working for over a decade, providing a wide range of innovative services and solutions to the poorest groups of workers in Rajasthan, Gujarat, Mumbai and NCR. Aajeevika Bureau has been working in Pindwara with a partner organization, Kotda Adivasi Sansthan, for the last three years and has facilitated the set of a 1000 members strong workers collective that is doing strong advocacy around the issue on the groun. Together they have supported over 5000 Silicosis affected families to access curative and rehabilitative measures to survive the impact of the epidemic. Your financial support will help this unique, multi-skilled team to develop effective preventive strategies for a sustainable solution to this fatal, incurable disease. Your support will help us innovate, test impact and scale-up solutions, so that the temple-making industry becomes Silicosis-free by 2020. The senior engineers and doctors on this team are working pro-bono for this initiative. However, we still need resources for prototype development, field tests, mobilization of workers and advocacy with employers and the state. According to the Indian Council of Medical Research, around 3 million workers in India are exposed to this deadly disease. Overwhelmingly, these workers are at high risk because of similar conditions of work as Pindwara. Simple, linear applications of technology fail there too and these contexts also need a grounded, bottom-up approach to developing a dust-control solution. Success in Pindwara would, therefore, have wide-scale relevance in developing pathways for other Silicosis-prone work contexts in India, which remain festered with this highly preventable disease that elude simplistic solutions. Though the project has wide-scale relevance, it does not neatly fall within existing donor mandates. Public health in India is yet to seriously look at occupational health and safety. Technology and innovation in India is yet to look at participatory and community driven approaches that are combined with legal and regulatory advocacy. The donor space remains locked up in silos, which escape a cross-cutting project such as this. Therefore, we are turning to citizens who are passionate about safety, health, labour, livelihoods, technology, social innovation and participatory approaches to help with this much-needed initiative. 7 lakhs will provide us with resources to pilot a prototype dust-control technology tailored for this context. We expect about 4 lakhs to be needed for field tests, lab work, material equipment, iterations etc. About 3 lakhs will be needed for ground mobilization, employer engagement, advocacy with the state to get employers to co-operate and for state to make requisite policy level changes. We are trying to raise additional funds separately from institutional donors for providing rehabilitative and curative support to affected families. Please support by donating to the cause and sharing it with your close ones. No amount is too small or insignificant. We will share regular updates from the progress of the initiative with all supporters. Do watch the video above. Read the article here and see the attached newscuttings, for more evidence and information on the issue. Please follow our campaign #SilicosisFreeTemples #HealthForAll on our Facebook and Twitter pages to learn about various aspects of the problem (curative, rehabilitative, regulatory etc) and the work we have done so far on these fronts in the last three years. Aajeevika Bureau needs your support. Your message will be directly emailed to Aajeevika Bureau and you will receive his/her response on the email address entered below.